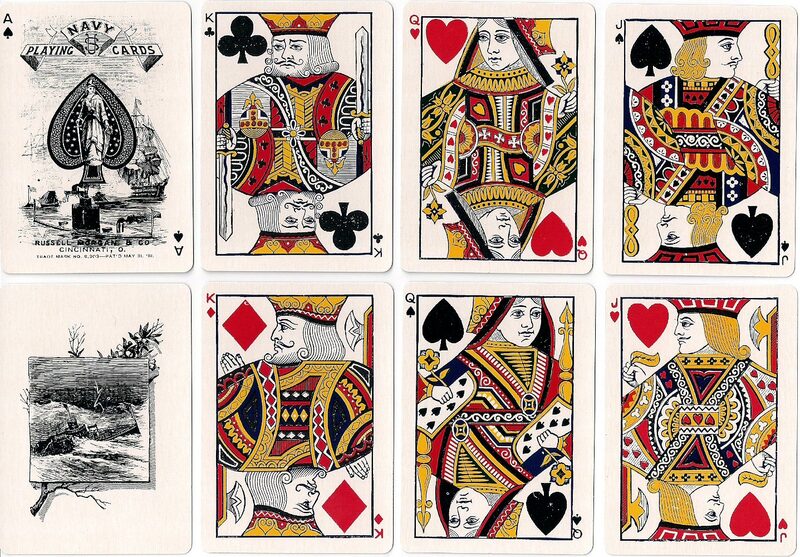 Armed Services playing cards were prominent in Russell, Morgan & Co's range of titles. “Navy No.303” is the companion to Army No.303 which was also first published in 1881 by Russell, Morgan & Co., Cincinnati. The picturesque Aces of Spades and Jokers were also embellished with battle scenes which tend to change over the years, and the Ace of Spades has the statue of Freedom in the centre. Above: “Navy No.303” playing cards, Russell, Morgan & Co., c.1881. The Ace of Spades shows the battle between the Monitor and the Merrimac, with an early frigate in the background. 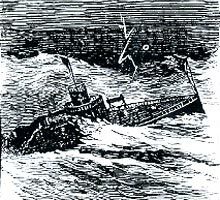 The Joker shows the Monitor sinking. 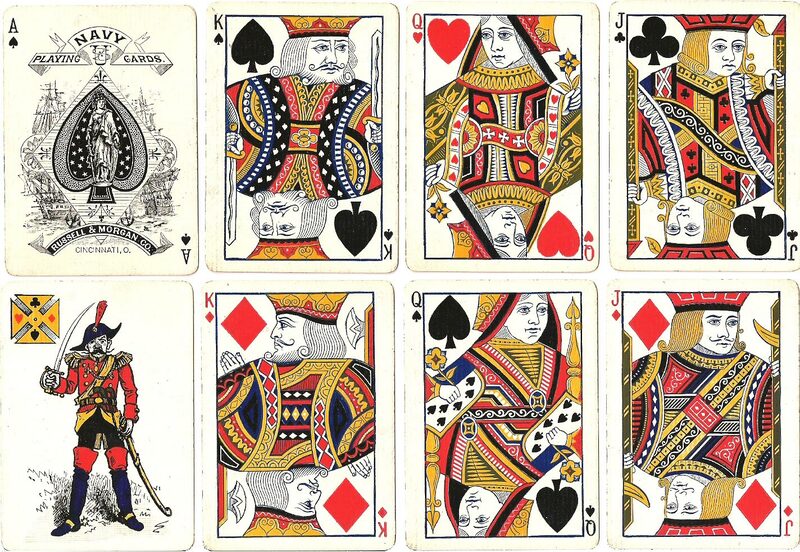 The second edition of 1883 (below) has slightly larger indices, a more simplified Ace of Spades showing two sailing ships with a Joker caricaturing an early Army officer (who could be mistaken for a pirate!) The Joker originally designed for this deck shows a Tipsy Sailor, and this Army officer Joker was usually seen in the Army No.303 decks, but there are instances where Jokers have been cross pollinated or switched between decks. Both brands were subsequently merged into an Army & Navy #303 brand in c.1884. Above: 'Navy No.303' playing cards, Russell & Morgan, Co., c.1883.